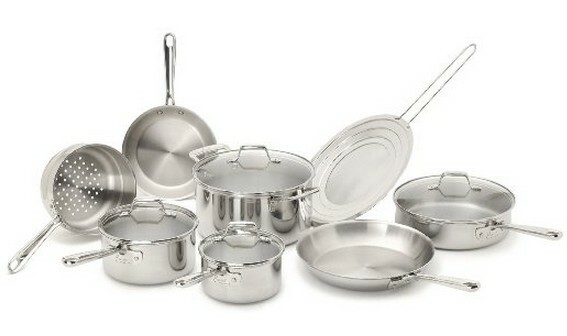 Save 68% on the Emeril by All-Clad Tri-Ply Stainless Steel Cookware Set, Free Shipping! If you are in the market for a new set of cookware, be sure to check out today's Amazon Deal of the Day! The Emeril by All-Clad E914SC PRO-CLAD Tri-Ply Stainless Steel Cookware Set is on sale for $159.99 at Amazon right now. That's 68% off the list price of $499.99!